Set in native bush, private section surrounded by reserve and trees. 1 min drive to Kuratau boat ramp or a couple of minutes to the Omori Boat Ramp. 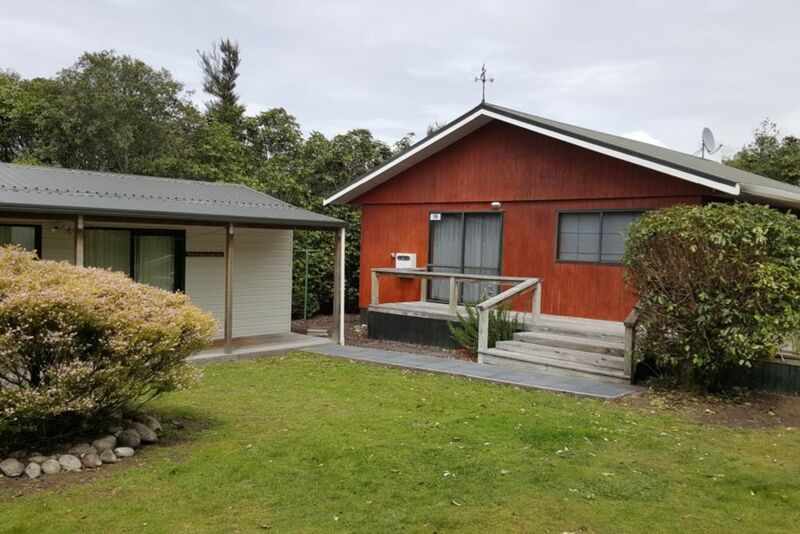 Surrounded by reserve land including bush walks to the lake, 5 mins walk from the children's playground, petanque, basketball hoop, tennis courts, meadows and community hall. Plenty of walking tracks to be enjoyed within the Kuratau/Omori/Pukawa catchment area. Lake Taupo trout just waiting to be caught and smoked to your taste. Only 45 minutes drive to Whakapapa skifield. A must do on everyone's bucket list! Property was spacious with everything we needed . Wonderful secluded location within easy walking distance of the lake. Wonderful secluded location within easy walking distance of the lake. Property very clean and in excellent condition - wonderful place to stay! A well appointed property. Great place to relax - very peaceful with all the surrounding trees. The bird life was entertaining - a flock of quail, tui... Enjoyed lovely walks along the lake. Great bach that had plenty of space inside and the kids had a great time exploring in the surrounding bush. Beautiful, peaceful & private location with easy access to the Lake. Beautiful, peaceful & private location with easy access to the Lake. Bach was very comfortable, contained everything we needed and easily fitted our two families. Would happily rent it again. Absolutely loved the place. Highly recommend it. And will definitely font here again. Had a superb time there. Facilities brilliant.